This is the first time in over three years of authoring this page that I have featured one of my own cars as "Stude of the Month." 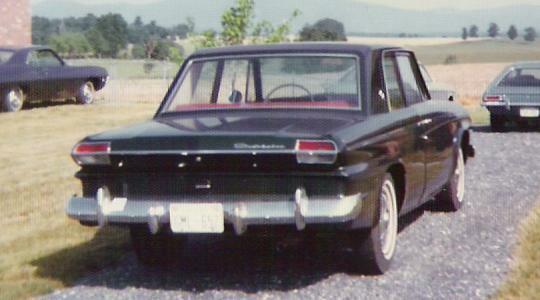 These pictures of my 1964 Studebaker Commander Special 2-Door Sedan were taken in 1976. The Commander Special was introduced after Studebaker shifted all automobile production to Canada. This model differed from an ordinary Commander in that it had an upgraded Daytona style interior. 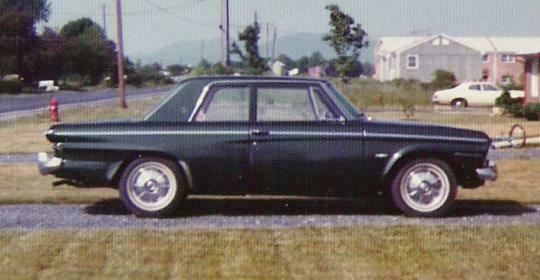 In a sense, it was the predecessor of the 1965 Daytona Sport Sedan. My Commander was equipped with the 259 V8 and three speed manual transmision with overdrive. This made it an excellent car for the highway. I purchased this car from a student at James Madison University. Other than replacing a rusty right front fender with one from a local wrecking yard and then having the whole car repainted the original color of "Jet Green" I did little to this car other than enjoy it for several years. 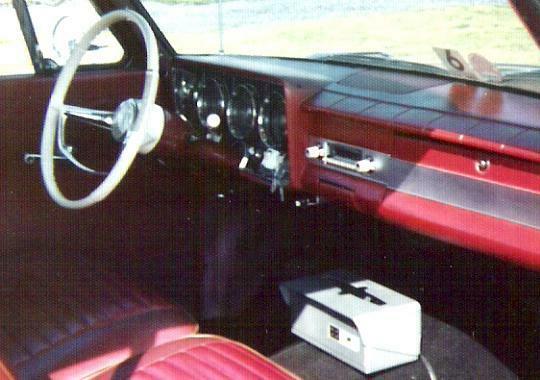 The picture above shows the upgraded pleated vinyl Daytona style interior that was standard on the Commander Special The white steering wheel was a feature of Canadian built 1964 Studebakers. South Bend Commanders came with two-tone color steering wheels. The tissue dispenser is a genuine Studebaker accessory. This car also had reclining split front seats, push button all transisitor radio, and a dash clock. If you own a Studebaker and would like to see your car as "Stude of the Month," please e-mail me at the link above. I can accept either electronic or hard copy images. 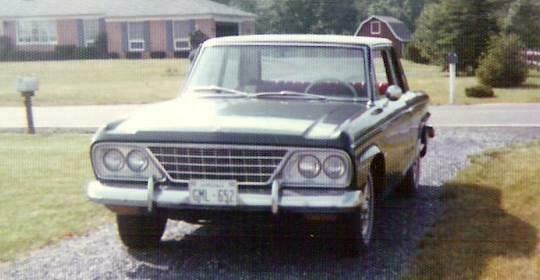 Jack White of Charlotte, North Carolina sent in this picture of his "new" 1963 Studebaker Cruiser. Jack also owns a modified 1963 Lark Daytona Hardtop equipped with a Chevy 283 V8 and a five speed transmission. 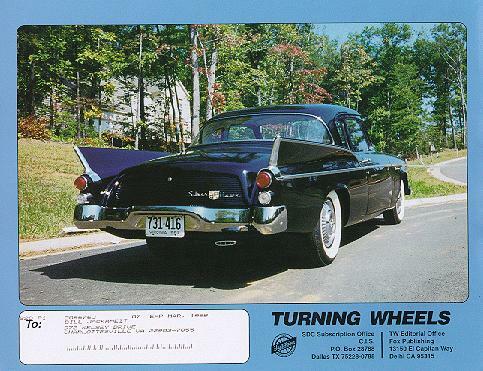 Studebaker brochures sometimes used photographs, sometimes used art, and sometimes used both. The 1964 full-line brochure used mostly art but also included some photography. The Studebaker Commander Wagonaire shown above was one of 12 side view pictures that were used in the 1964 brochure to illustrate various paint colors that were available. What made the Wagonaire unique was the availability of a sliding rear roof panel. 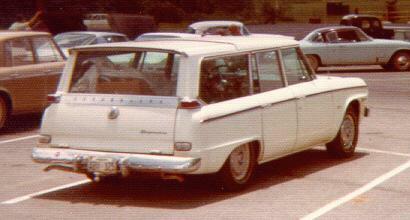 This rear view of a 1964 Daytona Wagonaire has the sliding roof closed but the movable panel is clearly visible. 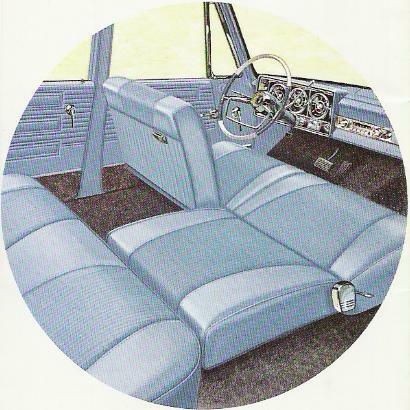 The standard Commander interior was quite a bit plainer than the Commander Special interior as can be seen in this 1964 brochure picture. This picture also shows the two-tone steering wheel used on U.S. assembled 1964 Commanders. Don Hunt sent in this old black and white picture of a 1956 Studebaker Power Hawk that he owned while in high school. The Power Hawk Coupe was only made in 1956. Power Hawks used Studebaker's 259 cubic inch V8. The similiar Flight Hawk used the 185 cubic inch Champion six cylinder engine. In 1957, both the Flight Hawk and the Power Hawk were replaced by the Silver Hawk Coupe. This casting was issued both as a Corgi Junior and as a Husky in several variations. 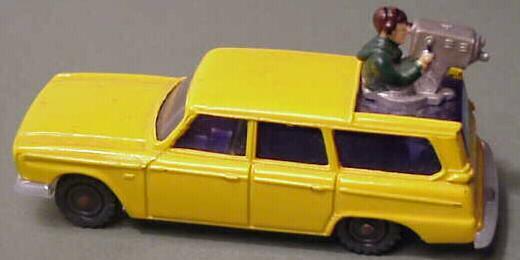 The Camera Car is my favorite version because it makes use of the Wagonaire's rear roof opening. Other variations include an ambulance complete with a man on a stretcher and a plain "civilian" version. To see more toy Studes, visit my Studebaker Toys Home Page. Click here for information on ordering a toy Frankenstude Hot Rod in five available colors, 1961 Champ Truck, 1951 Starlight Coupe, or 1951 Starlight Hot Rod.